Their loyalty program “Miles & More”, is one of Europe's largest frequent-flyer rewards programs. Their new Boeing 747-8 (jumbo) has some of the most spacious Business Class seats and is classified as the world’s longest passenger aircraft. As the founding airline of the prestigious Star Alliance network, Lufthansa prides itself in outstanding air and ground service continually. Whether you’re travelling to Frankfurt to close an important business deal, or flying to the land of ideas and opportunities for some Oktoberfest indulgence, you’re likely to fall in love with the way Lufthansa operates. Lufthansa Airlines is the German national carrier and founding airline of the Star Alliance network. Lufthansa is well established and prides itself in outstanding service on the ground and in the air. Lufthansa is not only keeping up with the latest technology, they also keep you updated on your booking with The Lufthansa App which is available for Apple and Android. 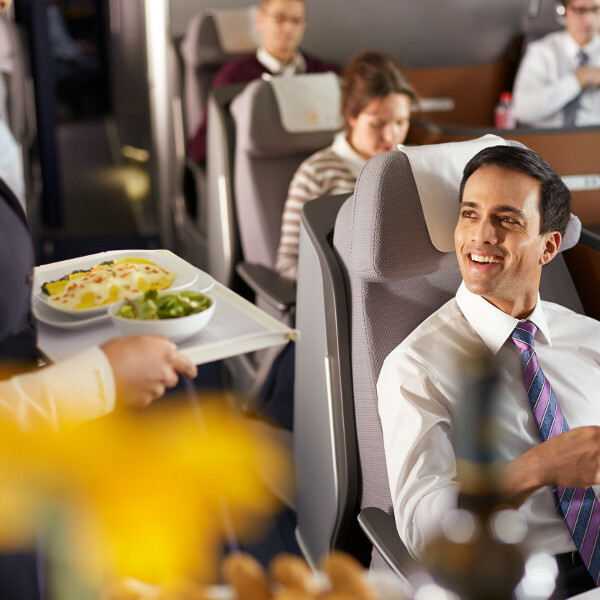 Boasting one of the world’s largest route networks, Lufthansa affords you the ultimate in flight flexibility when planning your trip – a non-negotiable necessity if you’re flying for important business. In addition to this, Lufthansa’s Star Alliance network extends the airlines' coverage to 16 000 daily flights from 855 airports in 155 countries around the world. Book Lufthansa flights to Frankfurt, Munich, Beijing and other exciting places! Economy: A single checked bag weighing up to 23kg per passenger. Premium Economy: Two checked bags each weighing up to 23kg per passenger. Business: Two checked bags each weighing up to 32kg per passenger. First Class: Three checked bags each weighing up to 32kg per passenger. Passengers can check in 23 hours ahead of their designated flights via web or mobile. They can also book seats and print out boarding passes. Passengers are advised to check in for their international flights at least three hours ahead of their designated flights. Economy, Premium Economy, Business and First. Economy Class cabin: ergonomic seats offer a superior level of comfort and are up to 3 centimetres wider with more legroom to boot. 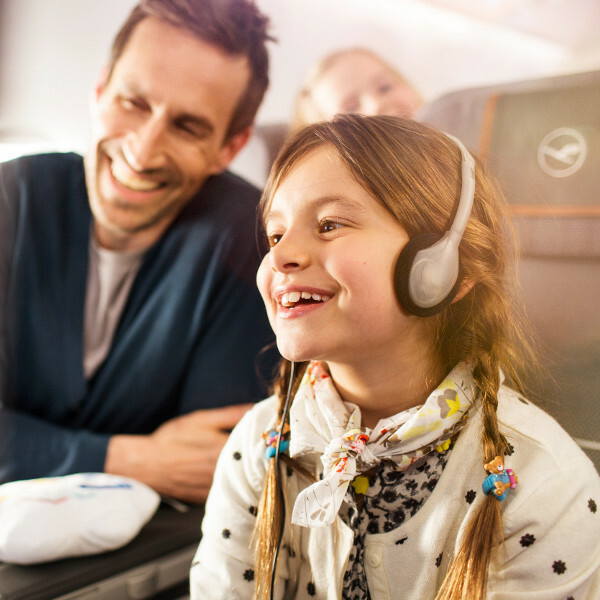 Now you can enjoy the best in Lufthansa inflight entertainment with your personal touch screen monitor. Lufthansa’s hub is Frankfurt airport, which is the fourth busiest airport in Europe. Lufthansa currently flies to 18 destinations within Germany and to over 193 international destinations in 81 countries within Africa, Asia, Europe and the Americas.